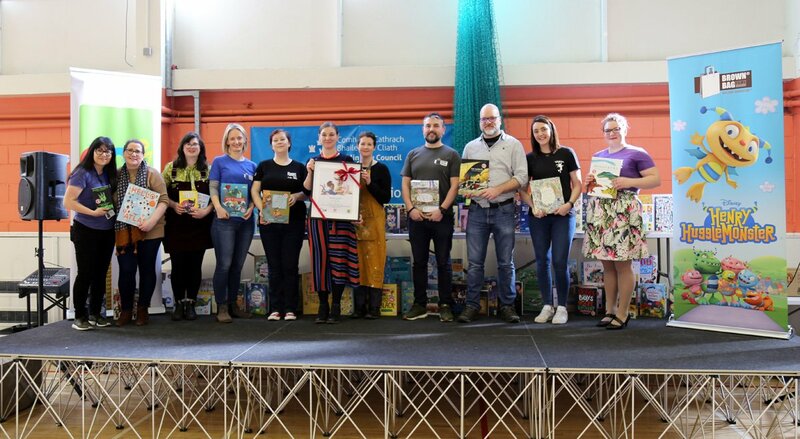 Bookbag visited Our Lady Immaculate for one of our biggest events ever, with 186 students - gifting books to every student in the school, and to the library - plus a whole school Superhero Doodle & author and illustrator visits! 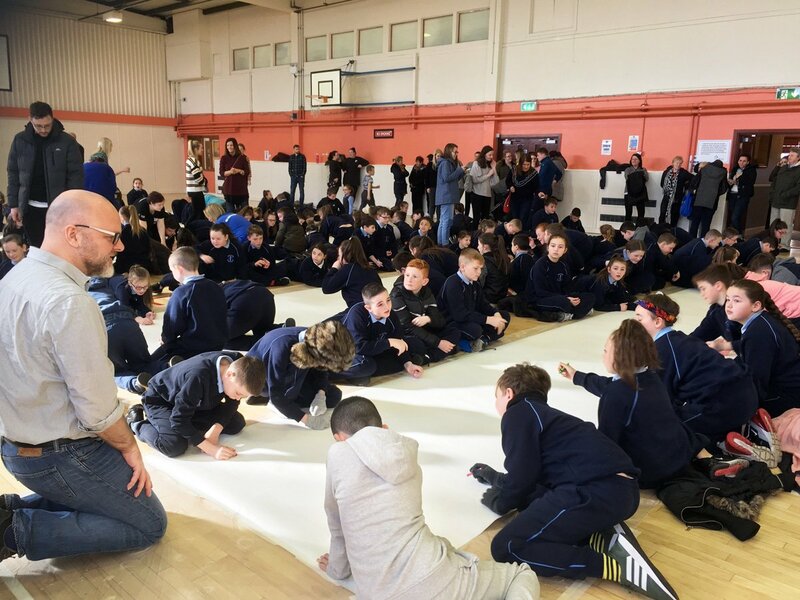 Marten from Brown Bag Films drew a superhero portrait of Eoghan, a fellow Brown Bag team member, describing the positive personality traits and abilities of his friend, encouraging the children to see themselves in a positive way. Then everyone took part in the Superhero Doodle. After the doodle we made a human library chain to bring the books from the community hall winding outside and up the stairs to the library. It was really moving moment to see the huge library chain. 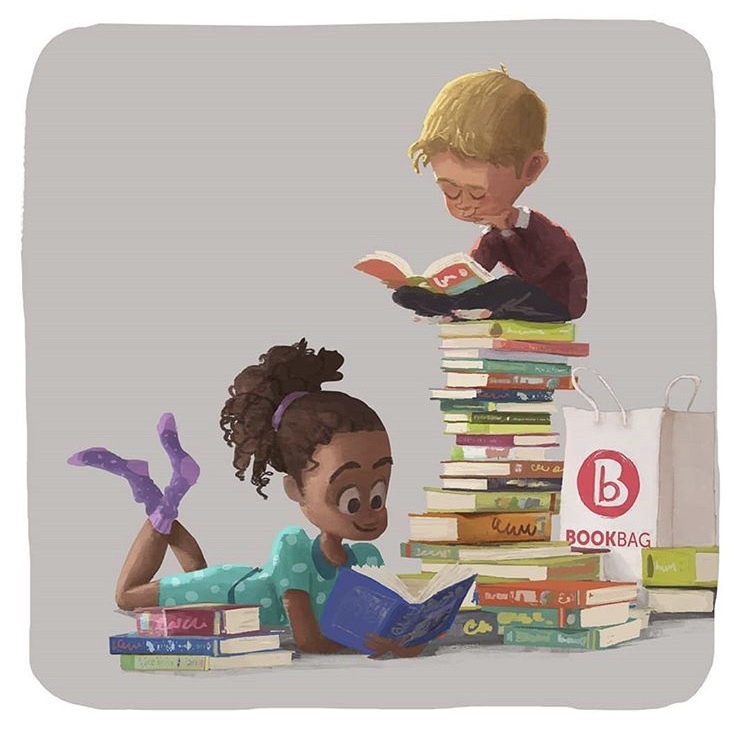 All the children, parents, grandparents, teachers, CBI, and Brown Baggers got to hold every book on the way to the library. Then all the classes had an author and illustrator visit by Tarsila Kruse, Alan Nolan, Erika McCann and Shane Hegarty. Thanks to Brown Bag Films and the team at CBI for the amazing day.